What did you do with your old iOS and Android devices? 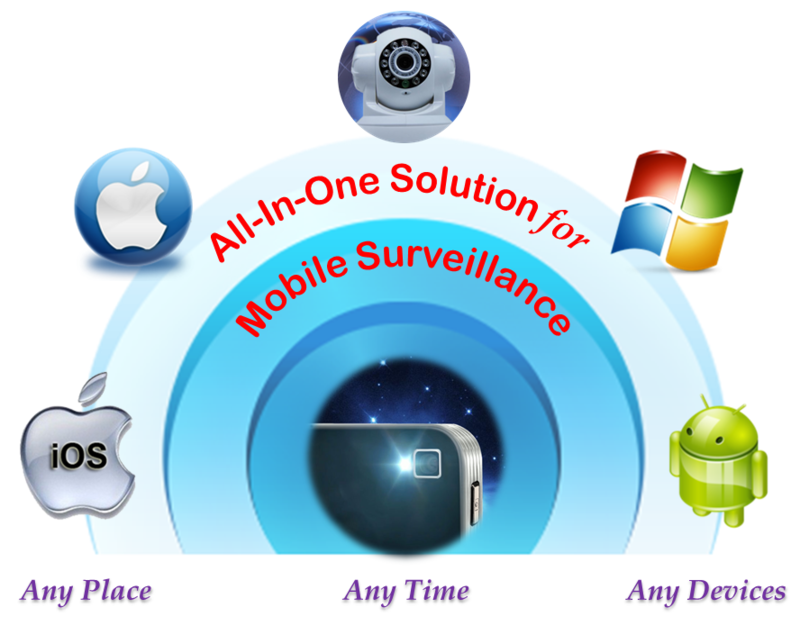 This app is an audio and video surveillance solution for your Mac and mobile devices. This app enables you to turn camera-enabled iOS devices (iPhone, iPad, iPod Touch) or Android devices (Android phone, Tablet) into network cameras with audio and motion detection capabilities. It allows you to remotely monitor multiple live audio and video feeds from your Mac over Wi-Fi and cellular networks. Encrypted string randomly generated by user ID and Key is sent to the server for registration. Additional encrypted Password string is saved only between camera side on your Mac and monitor side on your mobile devices. We do not save your ID and Key and Password, thus you should make a note of them and keep it in a safe place just in case OR you can set the auto login feature. Simultaneously capturing both video and audio feed on your device may cause increased video frame and audio delays.